Gorgeous wreath!! Great job! Thank you for the inspiration! Fabulous! Perfect for this time of year! Wow, what an amazing project. I love the pattern paper with splashes of orange. This is gorgeous Mary Ann and I love the way you used the tape to tone down the Orange in your pp!! Awesome fix! I love just the tiny bit of orange peeking out. Very nice wreath! This is breathtaking! What a clever design. Thank you for joining in with Anything But A Card "incorporate black" challenge this week! I love the orange in the cones and the border in the tape really makes it work! 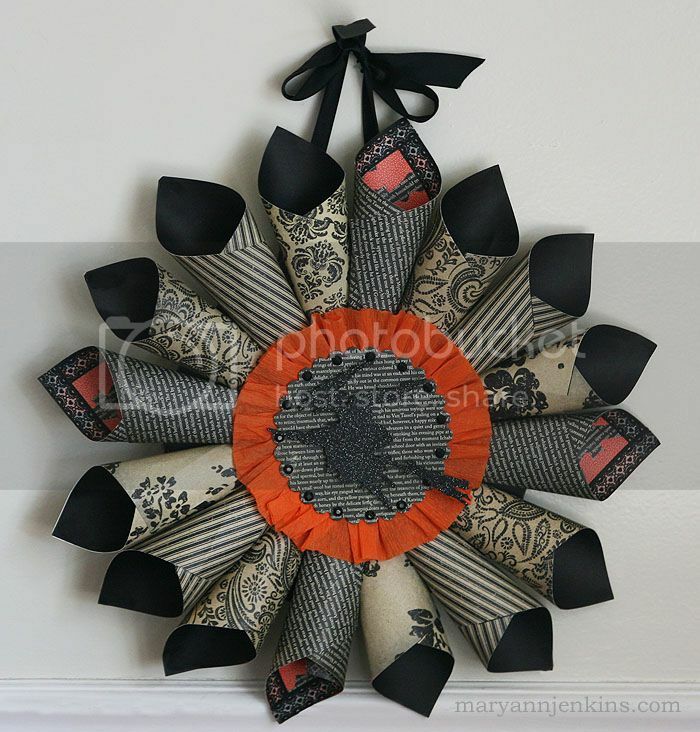 I love the mixture of prints on the DP you used on this wonderful wreath! 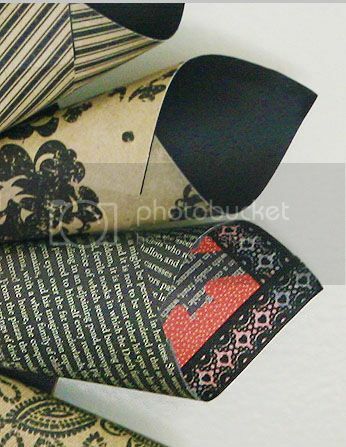 Great idea on using the washi tape too! Thanks so much for joining us at Anything But a Card! Great project and shows wonderful uses for DP's and tape. Thanks for sharing with us at Anything But A Card. Love this wreath- I need to try one of these. Just gorgeous! Thanks for joining us Anything But a Card!